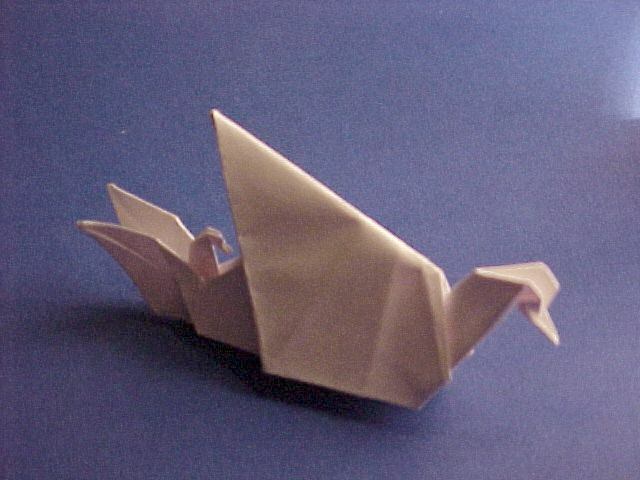 Images of some of the folds that I've enjoyed making. 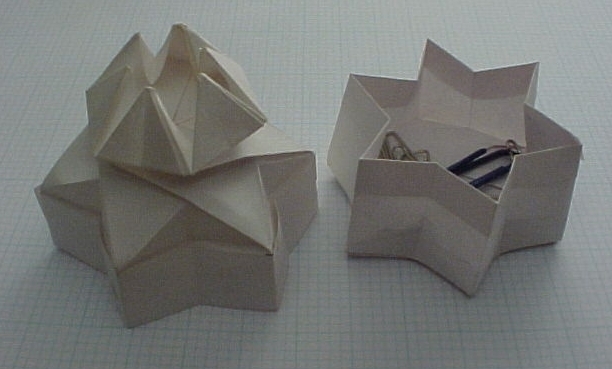 Origami diagrams in two dimensions do not always provide the clarity required, especially for some of the more difficult folds, such as the Jackstone, Kawasaki Rose, etc. 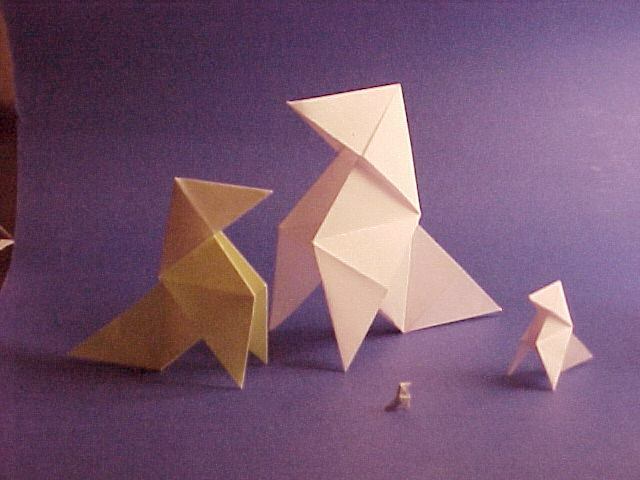 I've put up pictures to provide some Folding Tips of these models during some of the most difficult stages of their folding. 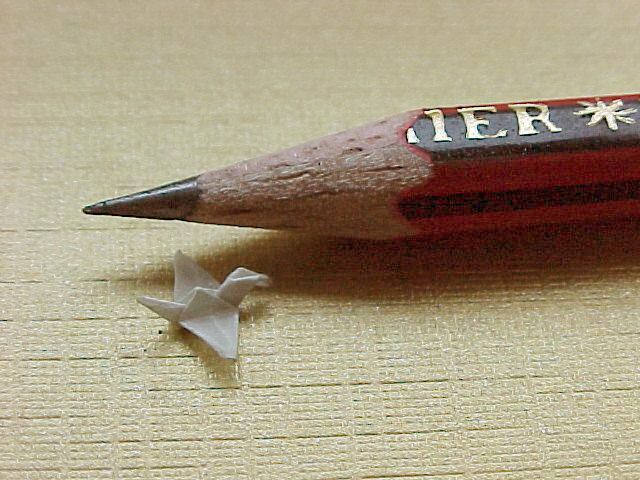 Hope this helps all of you who get stuck up while making these beautiful models. 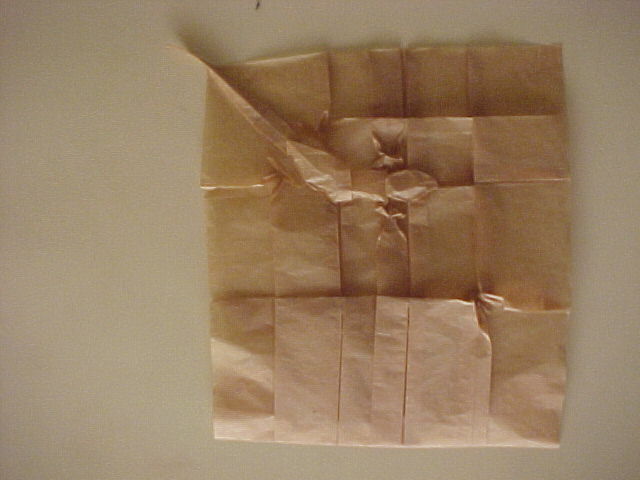 Folded using 8mm square Tracing Paper. 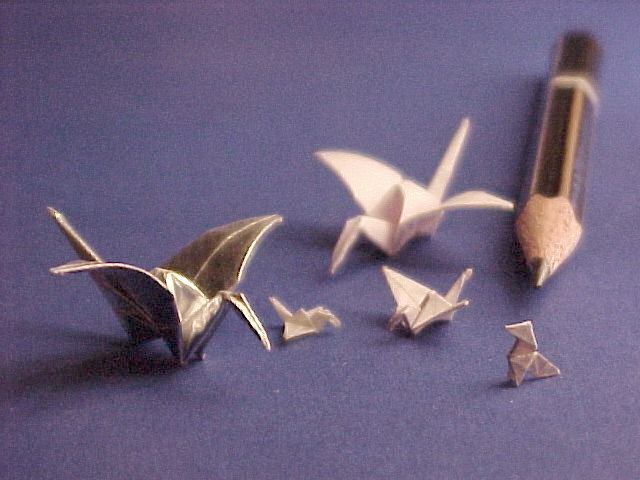 A flock of miniature Origami Birds. Made from 150mm paper backed Gold Foil Paper. 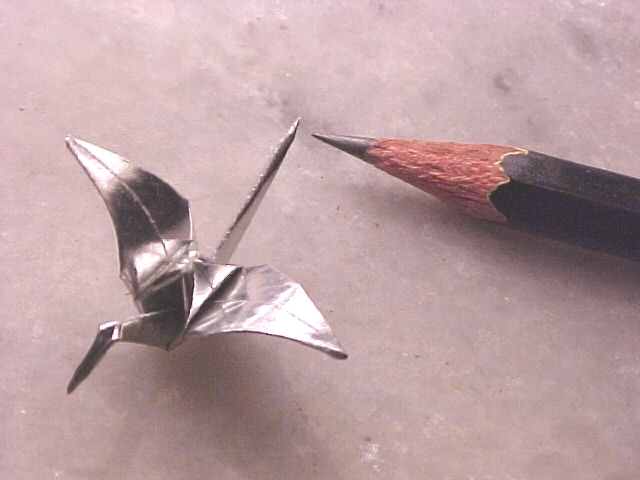 Diagrams in "Origami 2" by Robert Harbin. 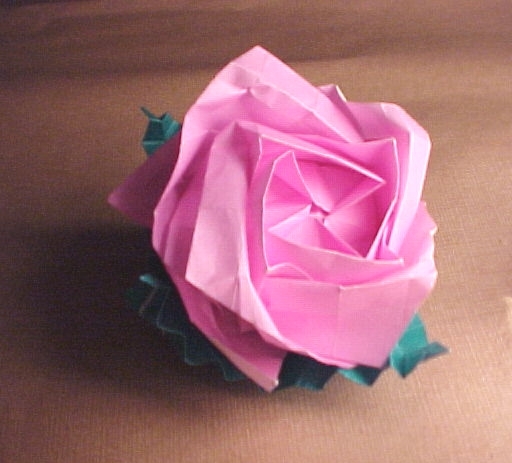 The beautiful Kawasaki Rose, Designed by Toshikazu Kawasaki and diagrammed by Winson Chan. 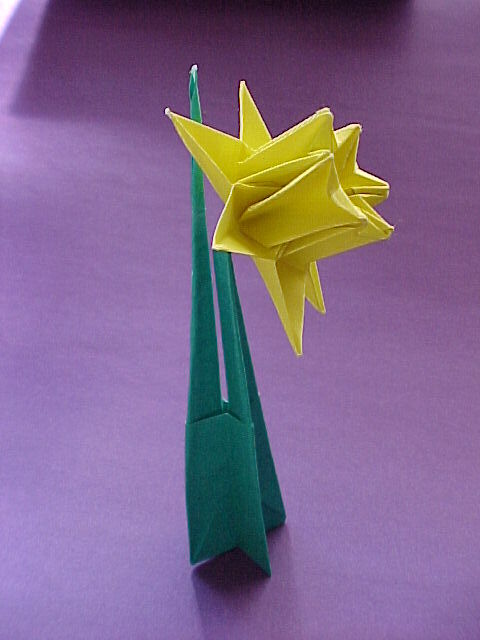 Base for Kawasaki Rose by Joseph Wu. 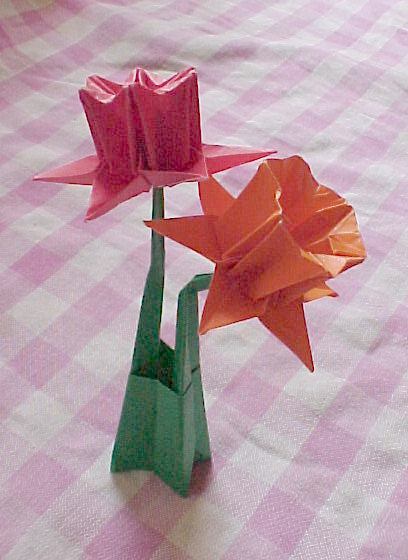 Made from 200 mm square, Orange for the Rose and Green for the Base. 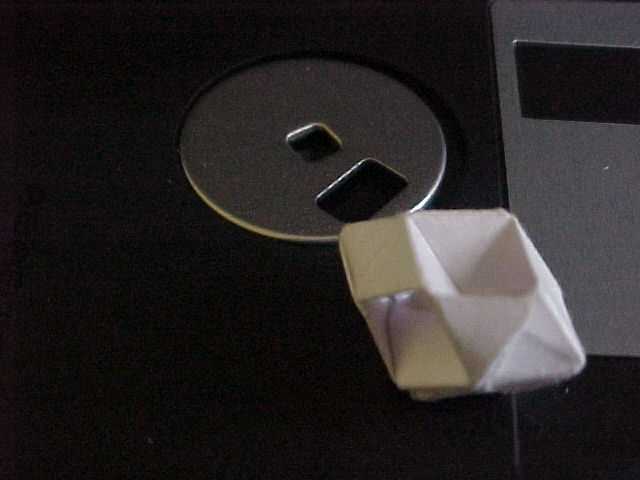 I hope to obtain some better paper to do justice to this wonderful model. 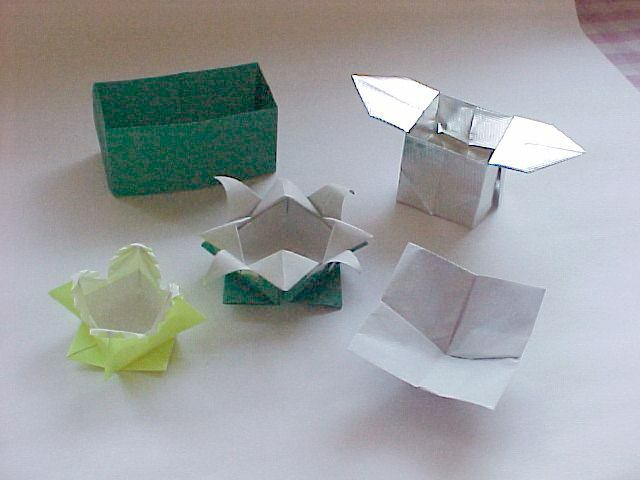 Diagrams on the Web.See Links page and follow to Joseph Wu's web site. 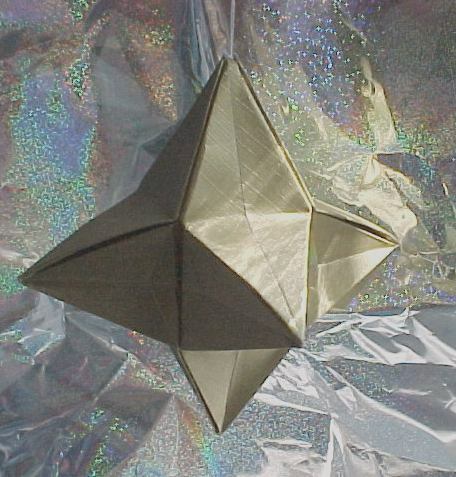 This 3D model of unknown origin is called the Bauble. 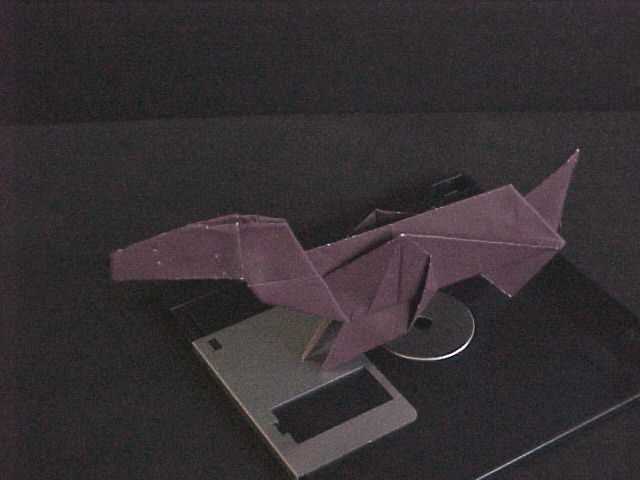 Made from a long rectangle of paper, with a series of repetitive mountain and valley folds. Precision counts here. 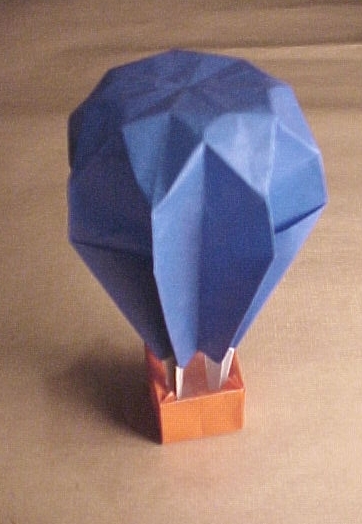 Diagrams in Paul Jacksons "Festive Folding"
Hot Air Balloon by Tony O'Hare, Bristol, U.K.
Swans, by Tim Ward and Trevor Hatchett, London. 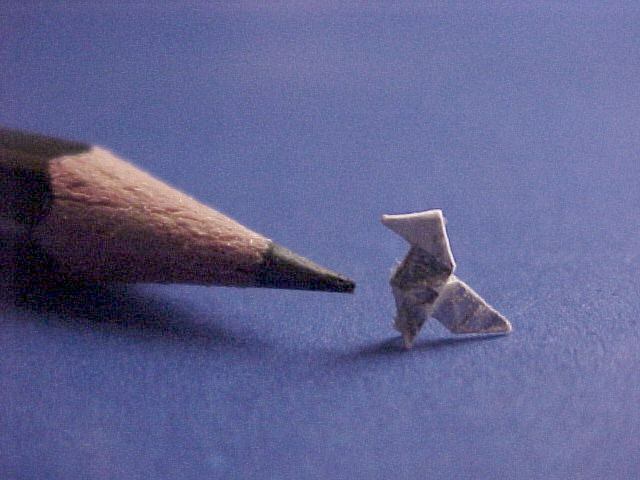 Made from 200mm white paper. 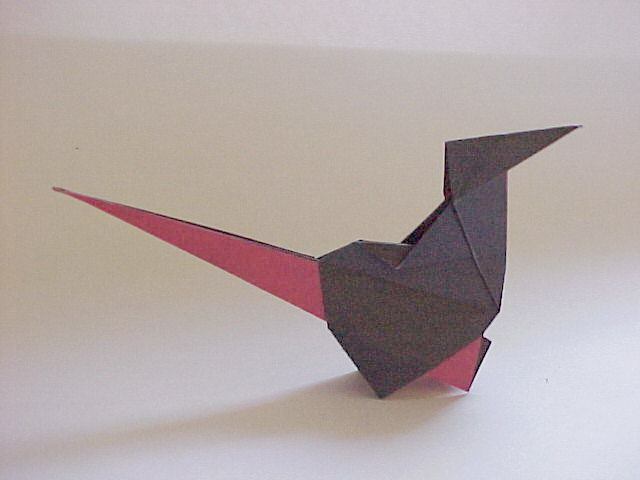 Made from 150mm paper, black on one side, red on the other. Hope to take a better picture soon. 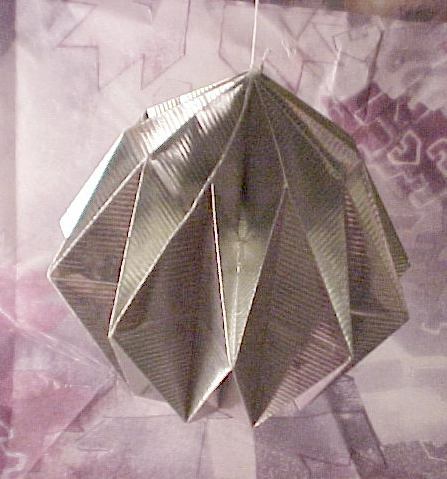 Diagrams in "Festive Folding" by Paul Jackson. 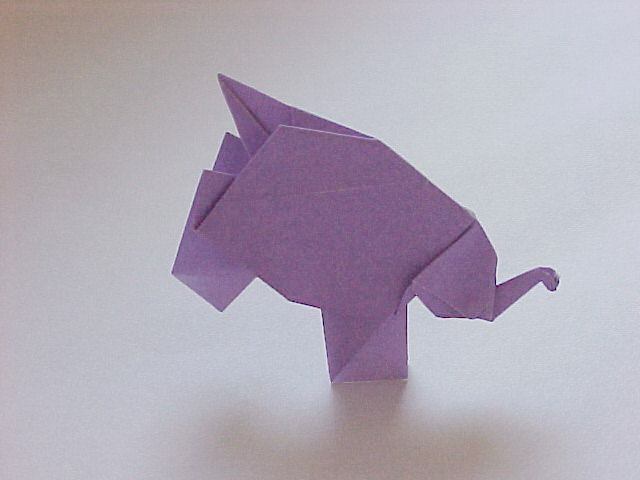 Pink Elephant, (this one turned purple), by Tim Ward and Trevor Hatchett, London. 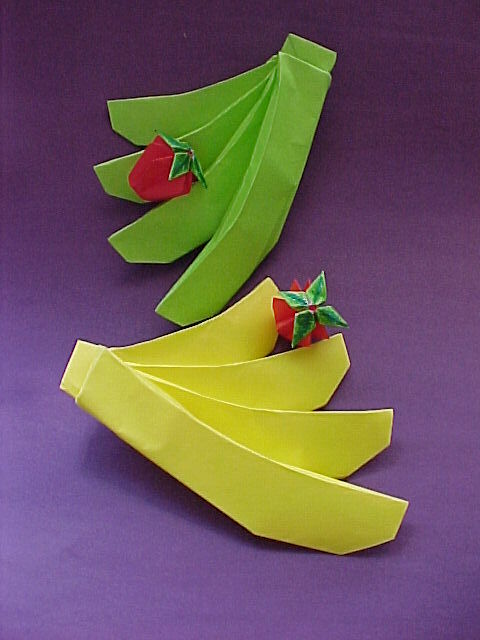 A pair of inflatable frogs, using the Preliminary base, followed by a series of repetitive squash and petal folds. 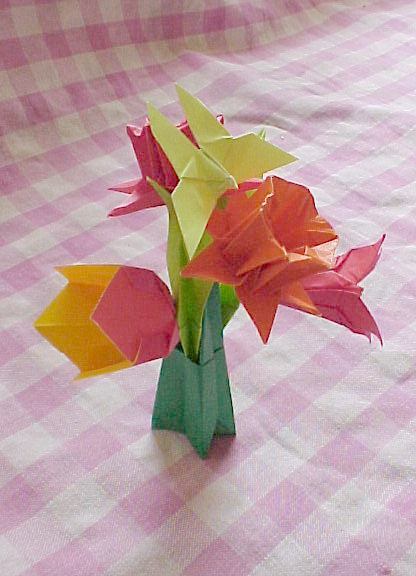 Made from 150mm green paper. 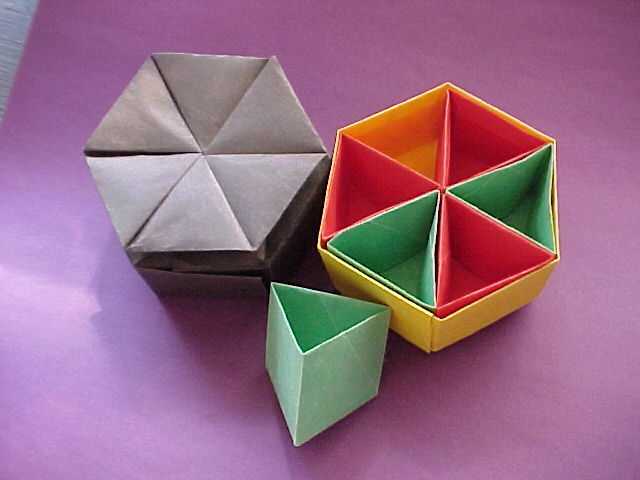 Diagrams in "Origami 1" by Robert Harbin. 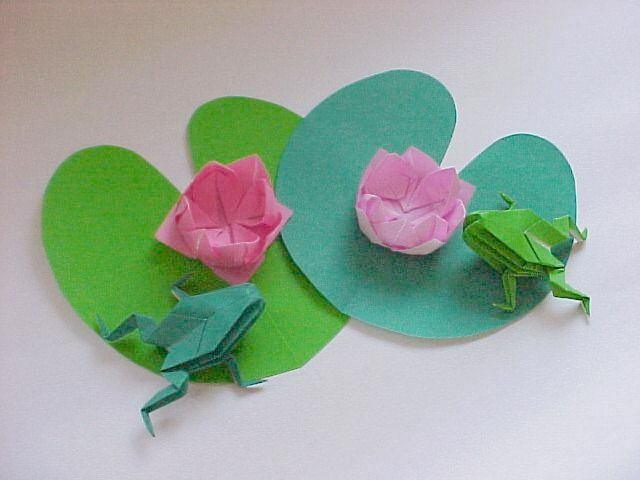 Water Lilies and Frogs. 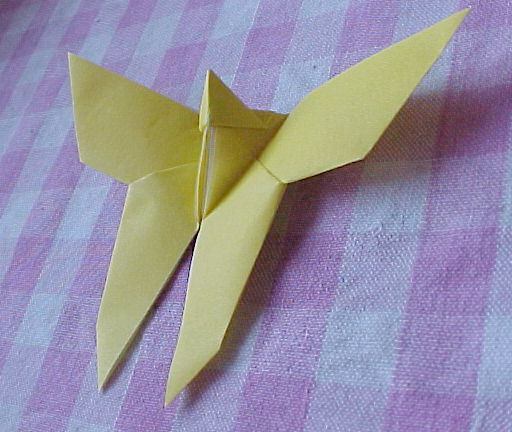 Traditional Japanese Origami. 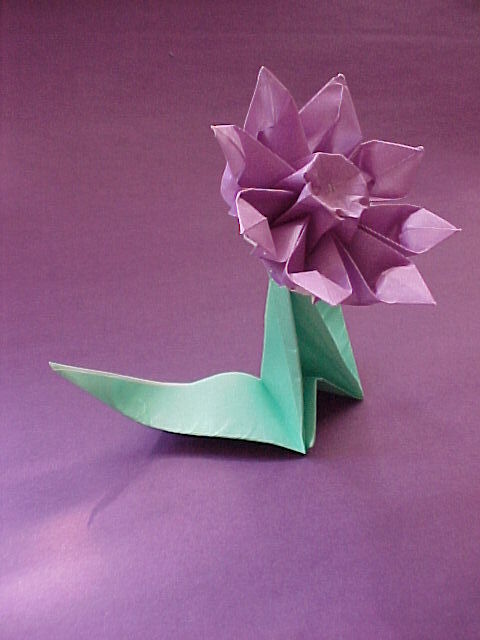 Diagram of Water Lily from Steve and Megumi Biddle's 'Amazing Origami for Children'. 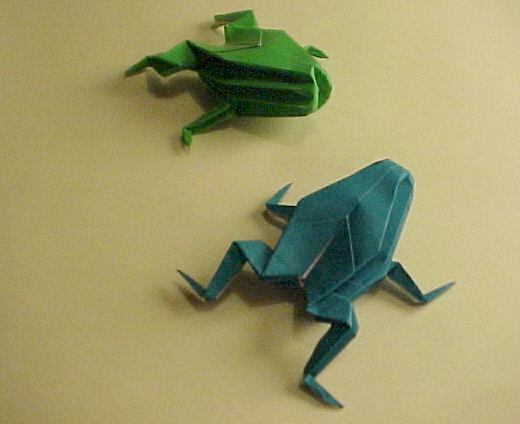 Frog diagrams in Robert Harbin's "Origami 1'. 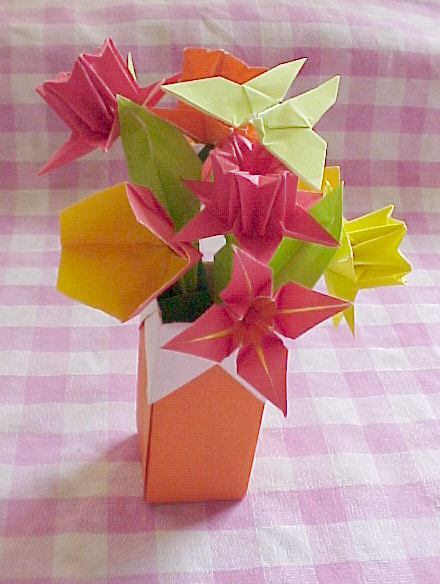 Tulip (at middle left, Red/Yellow), specially created for 'First Steps in Origami' by Joan R Appel. A better view of the lovely daffodils. One of my favourites. 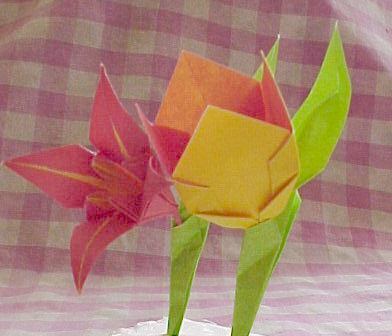 Iris and Tulip with Leaf and Stem. These make excellent Broches and Button Holes, sure to draw attention and curiosity. 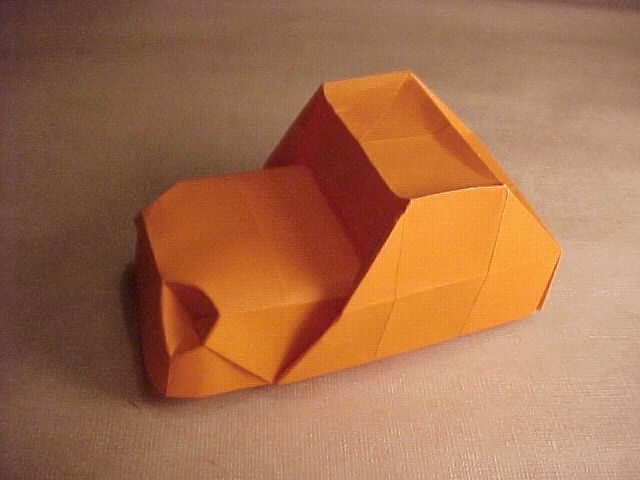 Toy Car, by Herman van Goubergen. This one's been a real hit with all the kid's around my neighbourhood !